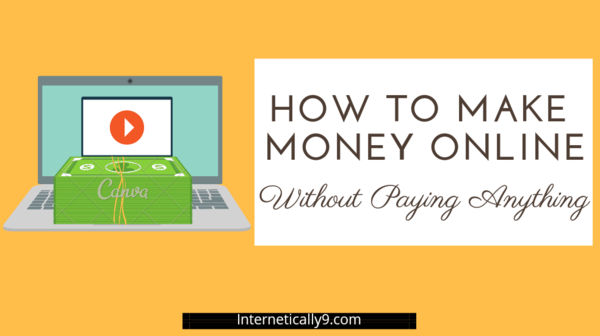 16 legit ways to make money online without paying anything. There are thousands of practices to earn money online without spending a single penny. However, in this post, we will discuss only the best and legitimate ways to earn real money. Many different online jobs you can do using just your laptop or computer. Everyone needs money to fulfill their wishes. Many different people have their own reasons to earn money. For instance, most students need money to enjoy their student life. While adults need money to take care of their entire family. Online jobs are the easiest way where you don’t need any certifications or the official environment. You can just start it in your bedroom using your laptop or computer. The only requirement to earn some extra cash online is skills. You just need to learn as much as you can. We will discuss these jobs in brief below. But you need to keep in mind that you will need to become a good learner. As fast you will start gaining knowledge. You can Start earning a few extra bucks very soon. Here is a list of multiple options, which can help you to start earning money online with no extra expenditures. Freelancing is the best option to start working online without spending any money. Whether you are a student, a mom, work part-time or a professional, you can spend your extra time with earning money online. Websites like Fiverr, Freelancer.com, PeoplePerHour, and Upwork are great platforms for freelancers. Here you can do many tiny jobs for clients on a fixed price. For instance, if you are a WordPress developer, you can fix a single WordPress issue for at least $5. Fiverr is my personal recommendation because I worked on Fiverr a lot and I earned hundreds of dollars in a week. Prices are all dependent on your skills. You can sell your services here from five dollars to thousands of dollars. Many newbie users struggle a lot on sites like Fiverr to get their first job. Therefore, I have written a complete guide using my personal experience on How to Start Selling on Fiverr. In this guide, I have shared a completely strange technique to start getting orders. Using this trick, I started getting so many orders in a week. So Now here is a list of freelancing jobs. You can choose any category according to your choice and passion. 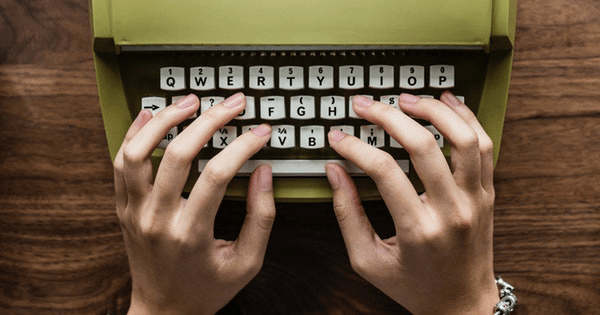 If you have a good hand in writing, you can try to become a freelance writer. You can write to many different kinds of jobs as a freelancer. For example, you can write articles, website content, blog posts, translation, research & summary, sales copy, press release, transcripts, legal writing, email copy, business slogans, book and eBook writing, product description, speech writing, proofreading, and editing, resume and cover letters etc. These jobs are totally profitable and free to join. You just need to showcase your skills, education, and experience to impress your clients so that they can buy your services without any doubt. The easiest and simple job which you can start without any investment to make money online on your computer screen. However, there are thousands of other writers in the market. Therefore, you need to create a professional profile to start selling your services. Try to keep prices low at the start if you have done this job before. If you are a computer geek or know how to code. Here is another great opportunity for you. After becoming a freelance web designer, you can easily earn $1000+ a month. On the other hand, if you don’t know how to code or how to design a website. You can still learn to create a website using much software available in the market. WordPress is the best and foremost example. You can create beautiful using WordPress and its classic themes. You just need to spend a few weeks on the internet to learn how to create a WordPress website. And you can easily start making WordPress websites. 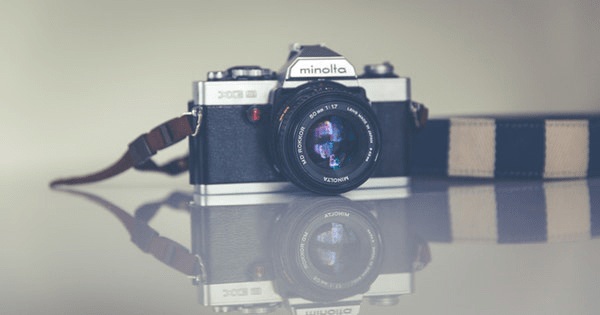 As many people create beautiful videos and upload them on social media networks. Some people also making this hobby a full time earning the job for them. Video editing is not as difficult as it looks. You can many familiar and easy software to create and edit videos. Many business owners find video creators to promote their business. There is much different software available in the market to create and edit videos. You can choose any of them according to your skills. Even mobile apps are also becoming so smart to edit beautiful videos. Filmora is the best option to learn video editing for a beginner. It has easy to use features and options to make it simple. Anyone can start editing videos here. In addition, Adobe after effects and Final cut pro are some more advanced and professional editors. As you become an advanced editor. You can also use this more professional editing software and make money online with no extra cost. Fiverr is the best platform for all these jobs. I personally earned a good amount of money by creating tutorial videos of mobile apps. Even I was using a mobile app to create and edit the videos. So there are many options for anyone who can edit and design videos using unique effects. Online marketing is a crucial topic to discuss. There are thousands of companies which are looking for some freelancer to do their online marketing jobs. Basically, Online marketing is a way to promote your business online. Using a different kind of methods, you can promote anything to the online world. The average American spends 24 hours every week online. And this number is also increasing in other countries too. Therefore, every business owner knows the value of online customers. Online marketing can be concluded by many different factors. For example, you can work for social media marketing, video marketing, email marketing, surveys, web analytics, influencer marketing, mobile advertisement, SEO, SEM etc. Here you just need to act with social media and online platforms. There is no need to invest money to get this job too. You can work as much as you want and can earn passively. Here is another way to make money on the internet using your musical talent. If you are good in any kind of music activity. You can sell your services online and get paid for that. Whether you can sing a song or just record a voice over. You can easily earn money online with your talent. You can compose music, mixing & mastering, singing or songwriting, record podcasts or spoken-word editing, jingles & drops, sound effects, voice over recording etc. If you are a music lover or record videos and audios for fun. You can use this hobby to earn some extra cash using platforms like Fiverr. Any talent should not be wasted and you should obey whatever you have. So start finding what’s inside you and put an effort to start your online earning journey. Graphic designing is not as complicated as it looks like because of its name. It basically means editing the images. There are many ways to edit images for different purposes. You can sell your graphic designing services at a good price if you can create beautiful images using different software. You can use much software like Canva or Picsart to create meaningful images. Moreover, you can also Adobe Photoshop to make it more professional and original. Photoshop has much more intense features. However, a newbie could be confused by its complexity. So they can smaller software to start with. 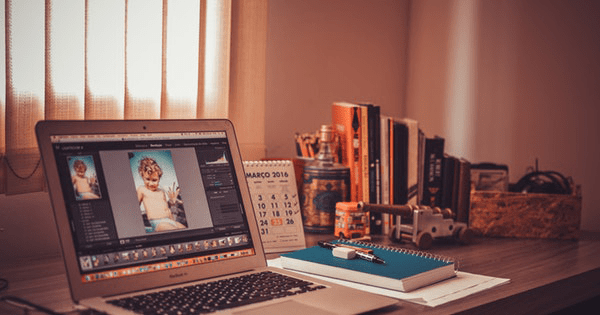 As you will need to move towards advanced features, you can start using photoshop too. You have many options to work. You can Start with logo design, illustrations, book, and album covers, web and mobile design, social media covers, banner ads, photoshop editing, Infographic design, presentation design etc. You can call it business assistant or virtual assistant. It is also a handy job to do online. Here you can earn from $20 – $100 per hour according to job requirement and your skills. Many people work as a virtual assistant for companies and clients. Here you need to complete their day to day task. So that their business requirements can be fulfilled. You can easily become a virtual assistant to work for data entry, email management, social media management, market research, business plans, branding services, legal consulting, financial consulting, business tips, presentations etc. Becoming a virtual assistant is not a bad idea to earn money online without wasting any more money. You just need to create a portfolio and start approaching clients. There are many tiny jobs for which people are finding you. Are you the most knowledgeable person on any topic? Do you know so much about something? Online mentorship is basically the job of a teacher. You will need to consult your clients about any particular problem. Try to become a problem-solving person and help people in their life to achieve their goals. You can provide your mentorship services in many areas such as relationship advice, health advice, nutrition & fitness related advice, astrology & readings, spiritual & healings, family & genealogy, gaming mentor etc. To start your mentorship services, you just need to identify which is the best category for you. If you are a 40+ adult then you might be a good adviser on relationship matters. If you play games more intensely than others. Then its also possible to help people in playing video games. Fiverr has all the categories for all these jobs. You can just visit Fiverr and start creating gigs. Here are some more ways to earn money online by putting some little efforts. Here is also you don’t need to pay anything and you can make some extra cash. Have you heard about online paid surveys? Here you can earn money by just taking surveys. It is completely true that market researcher companies collect data on people’s interests. However, there are many fraud companies have occurred these days who ask for registration fees to get this job. These companies are totally fraud and they can never give you a single dollar. That’s why I posted a trusted list of sites which provide online paid survey jobs without paying anything here. Highest paying PTC sites without investment in 2019. Here you can earn money by just completing surveys. However, these sites can not make you quickly rich. But they can help you to start some extra bucks without any hassle. Sometimes, sites do not qualify you for any surveys. It actually asks about you and your life and then provides a survey to you according to your lifestyle. If you are qualified for the survey. You can complete the survey easily and earn a few bucks for it. It takes a few days to understand how these sites work but as you will spend time here. You will be able to earn a good amount of money very soon. Here is another way to make money online for free. Videos games are really fun to play and we all love them. But do you know that there are some mobile apps which pay you to play games on their app? These mobile gaming apps organize video game tournaments and reward money prizes according to your scores. If you have pro skills to play video games. You can easily earn money by participating in their tournaments. Some popular video games like Pubg and Fortnite organize huge official tournaments to win cash prizes. These games organize a tournament on a yearly or half-yearly basis. Many third-party companies also organize these video game tournaments. You can win money prizes according to your skills. If you are habitual of video games and believe that you have pro player qualities, then you should definitely try these tournaments to earn few extra bucks. Have you ever heard about making money online through these social networking sites? It is completely possible to make money using these social networking platforms. As many of using these sites personally. If you have a huge number of followers for any specific reason. For example, many fashion stylists regularly share photos and content related to trending fashion. That’s why thousands of people started to follow them. If you have the same situation like this and you have a fan following of a few thousand people. You can earn money here by sponsored posts, sponsored stories, sell your own products, sell your photos, affiliate marketing, influencer promotion & reviews etc. Instagram is also the most popular photo sharing platform. Many Instagram users increase their followers by regular updating their content. After that, they can easily post sponsored content on their account. Online businesses are the most favorable option to earn passive income. However, some online business doesn’t make you rich quickly. But constantly working on them can make your business to earn $10000 monthly easily. However, an online business requires patience and drip feeding of your hard work. You need to learn all the aspects of online business and need to work on your business genuinely. Here are a few very basic and easy to start online businesses. It really doesn’t require money to start these businesses. Blogging is the most successful online business to start making money online. Here you can make from $5 to $50000 monthly or even more than that. Blogging is a way to express your ideas to the world. You can simply write your each and every thought on your blog. This is the best to share your ideas and make money online. In addition, It is very simple to create a blog and start earning money using many different monetization methods. You can use many platforms to create a free blog but blogger.com is the best option here. Blogger.com helps you to create a free blog and monetize it with Google Adsense. 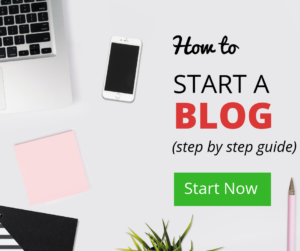 Here you can create your blog for free. It is a free platform to use their free blogging plan. Here you can easily start blogging and can make money online by publishing AdSense ads on your blog. You can also create your own self hosted blog at a very low cost. So that you have have complete control on your website. There are multiple benefits of creating a self hosted blog rather than free one. Here you can control all your data and files by yourself. You purchase the domain name and hosting for your site. It means nobody can damage or harm your site without your consent. Many websites provide free platform to create a blog but these website will have all the controls in their hand. You cant completely customize or change your website settings. Therefore, buying a hosting plan and domain is alwasy a good choice. You can buy a cheap domain and hosting plan on Bluehost only for 3 or 4 bucks easily. YouTube is the second most visited website in the world. Everyone is diverting from text to videos. People are preferring video content over text content. YouTube is the next most successful online business. Right now YouTube does not have that much competition like Google. If you still did not start your YouTube channel, you can be lost a great potential of this online business. No matter what you do or like to do. Just record everything and upload on YouTube. Make your channel more interactive and help people to resolve their problems. Getting success on YouTube is much easier than blogging. It is because right now there is a lack of content on YouTube. But the market is becoming competitive very fast. People are creating thousands of new videos every minute. So without wasting any more time, start your YouTube channel and make money online without paying anything. You can easily make money here by placing AdSense ad on your videos. You just need to make your channel valuable and you will start earning. While many people are not showing interest in Ebooks, there are people who are selling hundreds of ebooks and earning thousands of dollars each month. 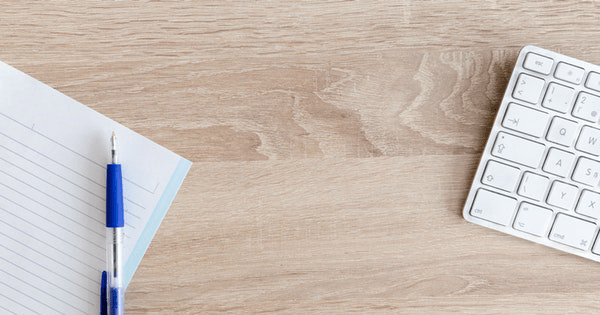 Writing an ebook is as simple as writing a Facebook post. First, you need to identify, on which topic you can write an ebook. Create a masterpiece content which helps people to solve their problems. Make sure you are not boring people instead of helping them to solve their problems. How can I read an Ebook which does not look cool and jazzy? Try to make your pages more appealing with animated pictures. Use a nice color combination to make it more engaging. People are losing interest in books. You need to put a lot more effort to make your ebook more catchy and colorful. So that more and more people will love it. After creating your ebook, you can start selling it on Amazon, Google Books etc platforms. You can also promote your ebook on some related blogs. This way you can earn a massive amount of money by selling ebooks without spending a single dollar. Do you know how to create an Android app? No No, you don’t need to take some web development course. You can just create an Android app by following a few simple and easy steps. Google has made it so easy to create simple Android apps. You just need to read those steps on the Android developer website. It does not really need any technical skills to create an easy app. By creating a useful app, you can put Adsense ads on your android app. Here you can earn money online without any hassle. You don’t need to spend extra money to set up your online business. Try to some common problem among people and create a helpful app for the world. Online courses are the most profitable online business. People are learning online more than any other offline method. Whether you are an English teacher or business advisor, you can create online courses to teach people. Everyone has some perfection in their own field. And every day there are some newbie beginners trying to learn about your things. For example, people are always gonna learn English. It is because English is an international language and people are gonna learn it forever. So if you are a native English speaker and you have an ability to teach English. You can perfectly create an online course to teach the language. The most beneficial thing is that you just need to create a course once and you can sell it forever. Same like a language course, you can also create a learning course in any area. For instance, if you are a web developer, you can create a beautiful course to teach coding to others. Web development is a growing industry and people are eager to learn web development. After creating your course you can start selling it online. You can make your own website to sell it. You can also promote it on other related blogs. This is the most profitable way to earn money online to be creating online courses with some amount of money. I hope now you got to know how to making money online without paying anything. There are also many other ways to earn money online without investment. But here I have included the most legitimate ways. I personally worked on Fiverr to make some extra cash. It is the most reliable and easy option to build an online career. There are lots of things you can sell there. For beginners, Fiverr is the best place to make some extra bucks. I hope guys this post helped you to understand work from home jobs. If you liked this article feel free to share it with your friends. And don’t forget to leave a comment about your favorite online job.